If there is one trailer that melted my wall of protection it would be the trailer of The Young and Prodigious Spivet. For some reason I can definitely relate with T.S. 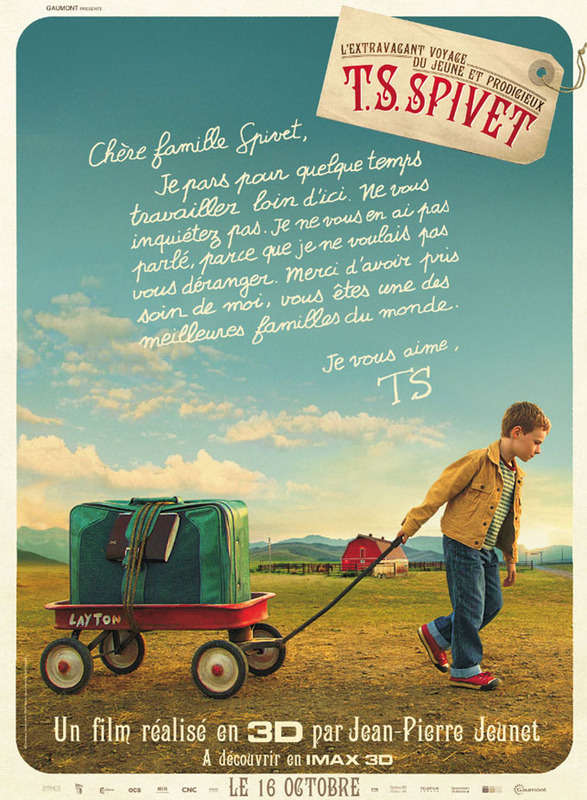 Spivet, that young narrator and main character of the movie. I have the false perception that he is a loner as well, but I am not sure if he feels lonely because of that. He may have a big family, but each member is on their own. Giving him the bravery to explore the world on his own. he meets a lot of people along the way until he reaches the dream he always dreamed of. This Jean-Pierre Jeunet-directed movie is certainly giving me the Mr. Feels vibes. Watch the heartwarming second trailer of The Young and Prodigious Spivet. An extraordinary 12-year-old boy, who is a cartography enthusiast, leaves his eccentric family in Montana to take off on an cross-country adventure on board a freight train to the Smithsonian Museum to receive a prize. Be inspired with The Young and Prodigious Spivet as it hits cinemas on October 23, 2013.